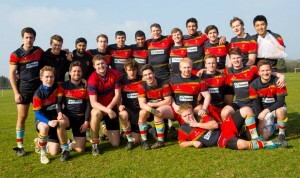 It is said that men stand on the shoulders of giants & the recently promoted 2nd XV are IMRFCs giants. Showing prowess both on and off the field, the 2s are the core of the club. IMRFC trains together as a club, the 2s providing a springboard into the 1s and a training ground for aspiring players from 3s. On the pitch we unite as an unstoppable single unit of strength in the pack & flair in the backs. After every match we bundle back to the Reynolds, to show the rest of ICSM why IMRFC 2nd XV is the best team in the Medical school.